Indoor plants and flowers not only help you breath better indoor air, but also enhance your mood. Having indoor plants may help you reduce the stress level and can make you feel happy. 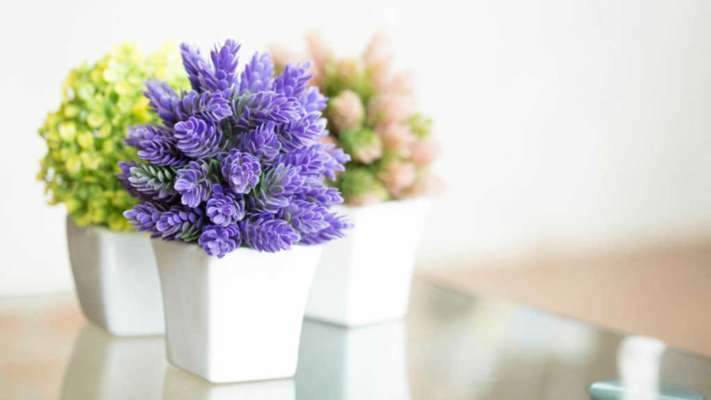 Plants and flowers in your home can also bring positive energy with their pleasant odour. Here are some different types of flowers and plants that can boost your mood and bring happiness around you. The plant contains a compound called linalool that is helpful to improve your mood. The compound and the delicious scent of the plant have a positive effect on humans. The plant is rich in anti-bacterial and anti-inflammatory properties that protect you from several bacteria. The interior designers suggest to keep rosemary needles inside home as it symbolizes positivity. The sweet aroma of the rosemary needles can light up the feeling of positivity through enhancing your mood. This plant is a great air purifier. It can remove around 1900 toxins per hour from the air. Boston fern is also known as one of the best air filtering plants. This beautiful flower can decrease your anxious feelings through its sweet aroma. But this flower is very expensive and not easily available, so you can use lavender perfumes and scented candles substitute. According to a study published in the Journal of Physiological Anthropology, people who looked at roses feel more happy and comfortable in their lives in compare to others. This flower works as an organic air purifiers. It removes the moisture from the air. One can feel fresh and good if he/she breathe fresh, hence it is the great flower to keep you happy and positive. Orchids are hugely used by Feng Shui practitioners to enhance the positive energy in homes. This flower can be helpful in improving the air quality and focus. It can also reduce your stress level and make you feel good. This flower is one of the most beautiful flowers around the world. Its mild scent enhances the peace in the environment. You can have this flower in your balcony to promote the positivity. This plant works as a natural air purifier and can help you feel better. You can easily handle this plant in your home as it does not require much care.